This has been a very successful year for our bluebirds. The first five babies fledged the nest. Then a second pair of adults moved into a different box and had a second batch of babies! 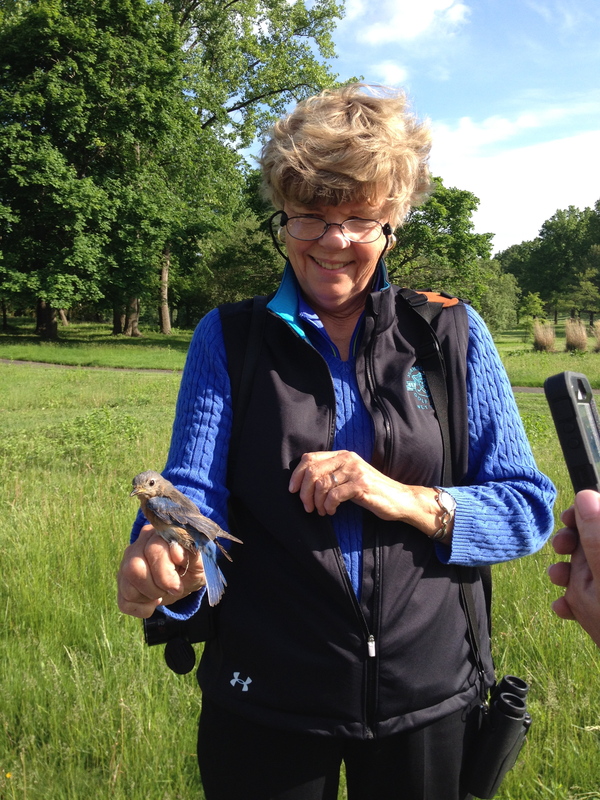 President of the Bronx River Sound Shore Audubon Society Sandy Morrissey, a licensed bander, and her crew of volunteers banded the adults and hatchlings and will be following them year after year.